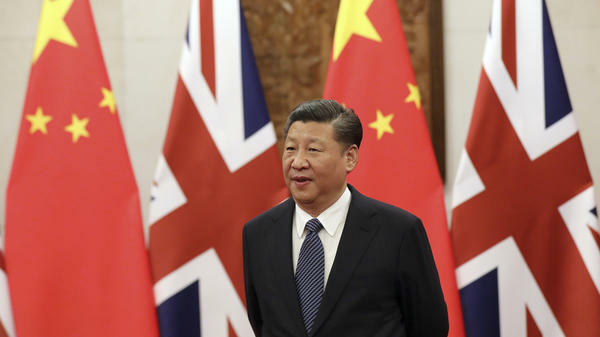 Chinese President Xi Jinping earlier this month waits for British Prime Minister Theresa May ahead of a meeting at the Diaoyutai State Guesthouse in Beijing. Xi is coming to the end of his first term and is expected to be appointed to a second term in March. The official New China News Agency reported Sunday that the party's 205-member Central Committee proposed that the term limits be removed from the constitution. The changes must be ratified by China's parliament at its annual session next month, but that parliament, known as the National People's Congress, has never rejected a law that the party or government has put before it. "The question this makes very vivid is, is Xi Jinping's personal power overriding the power of institutions and the constitution?" says University of Virginia Political Scientist Brantly Womack. The move was hinted at last year, when, at the party's 19th national congress, Xi Jinping's theories were written into the party's charter. And Xi broke with a recent tradition of designating a successor at the end of his first term. The move once again raises the vexing problem of political successions. From the 1960s through the 1980s, no fewer than five designated successors were purged or sidelined. China's limits on leaders' power have been fleeting and fragile. The position of president in China ranks below that of head of the Communist Party and the military, neither of which has legal term limits. Xi holds all three positions. Only two of Xi's predecessors – party bosses Hu Jintao and Jiang Zemin – stuck to the 10-year term limit. In some ways, the move represents the end of China's 40-year-long reform era. The era began after the death of Chairman Mao Zedong in 1976, when China tried to move away from the political violence and cult of personality that characterized his rule. The press was permitted a limited watchdog role, and legal reforms gave China's courts more room to address injustice. Following the 1989 Tiananmen Square Massacre "you had a pattern of institutionalization set up, in which term limits were very important," says Womack, as was an unwritten retirement age of 68. Xi's supporters argue that new leadership arrangements are needed to provide stability and continuity of leadership, so that Xi Jinping can fulfill his grand ambitions of leading China into a national renaissance, and new era of modernity, prosperity and power. China says that it intends to achieve basic modernization of the country by 2035, and regain its historic place at the center of world affairs. Xi also has proposed turning the Communist Party into a more disciplined and efficient organization, which reclaims its leading role in all facets of society and the economy. Despite heavy censorship of traditional and social media, the move has prompted comparisons to Russian President Vladimir Putin, and his efforts to remain in power. It also has recalled China's first president, Yuan Shikai, who, in 1915, proclaimed himself emperor, until widespread public opposition and military uprisings forced him to abandon his bid to restore China's monarchy. And now to China, where a proposal from the country's ruling party could have implications for years to come. Today, the Communist Party proposed scrapping term limits for presidents. That would mean China's leader Xi Jinping may not retire after the standard 10 years in power. Or he might not retire at all. 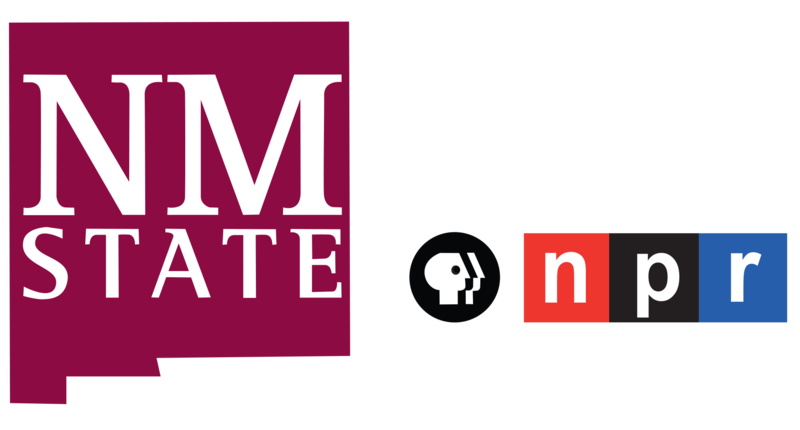 NPR's Anthony Kuhn has been following the story and joins us now. Hi, Anthony. ANTHONY KUHN, BYLINE: Hi, Sarah. MCCAMMON: So how long has China had term limits for its leaders, and why are they in place? KUHN: Well, they haven't had the term limits for very long in the historical scheme of things. China's constitution has prescribed two five-year terms for president and vice president since 1982. And before that, Chinese leaders basically just ruled until they died - from, you know, centuries of emperors under imperial dynasties all the way up to China's late leader Deng Xiaoping, who ruled basically until his death in 1997. And so these limits are going to be taken out of the constitution. One thing to remember is that Xi Jinping is actually also head of the Communist Party and the military. And those two posts outrank the president, and they have no legal limits whatsoever. MCCAMMON: And what signs, if any, have there been that this was coming? KUHN: Yeah. It was kind of expected. Over the past five years, Xi Jinping has been amassing power in his own hands. He's been knocking out his political rivals in an anti-corruption campaign. And last year, China declared a new era under Xi Jinping's leadership, and they wrote his official ideology into the constitution. And that's not something every leader can do. So it suggested that he was ending previous arrangements. And according to recent tradition, they should've designated Xi's successor last year. But there's still no sign of any heir apparent. MCCAMMON: And how much of a sense are we getting of why China's leaders are moving in this direction? KUHN: Well, this was announced in state media on Sunday. And there's no explanation yet. What Xi's supporters are saying is that these are special times, and they demanded some special arrangements. They say that Xi Jinping has an ambitious agenda ahead of him to reform the country's economy and politics. And he has a lot of vested bureaucratic interests to overcome. And this is going to require some extra time, and it may require extra continuity, which will make the country more stable. Now, these changes to the constitution will actually have to be approved at a session of China's parliament in March. But that parliament has never voted down any piece of legislation that the party in government has put before it. So it's basically seen as a done deal. MCCAMMON: And finally, Anthony, how much concern are you hearing about this proposal? KUHN: Well, discussion of it in China's state media is pretty heavily censored at the moment. But it's clear that people are worried because it runs counter to the trend of the past 40 years or so, which is basically China's reform era. And during that time, the problem of political succession has been seen as China's sort of Achilles heel. And leaders have tried to make the succession more institutionalized, more orderly and predictable. And term limits are a part of that. And so rolling this back really raises the specter of succession struggles and political instability. MCCAMMON: That's NPR's Beijing correspondent Anthony Kuhn. Thanks so much.